Durian mini tarts - MYR5.40 for 6 - taste like "dodol durian" but not as sweet as dodol. The durian taste is not overpowering so as someone who loves to eat durian, I like this a lot. I was walking in the new mall and saw this banner which attracted my attention to buy the mini durian tarts in the above photo. 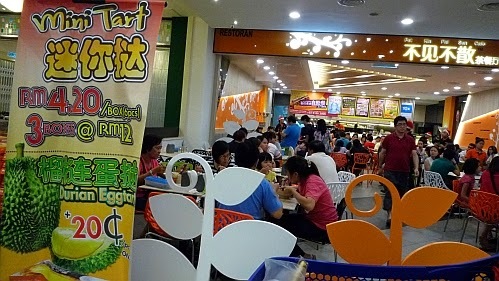 The name of this eatery is called Pat Kin Pat Sun Cafe (不见不散). We use the phrase 'Pat Kin Pat Sun' (cantonese) when we arrange to meet up with a friend. The phrase means I won't leave the rendezvous point if you are not there yet (even if you are very late) or I will stay at the rendezvous point until I see you. The literal translation is 'Don't meet don't disperse'. The Pat Kin Pat Sun HQ is in Taman Shamelin Perkasa, Cheras. 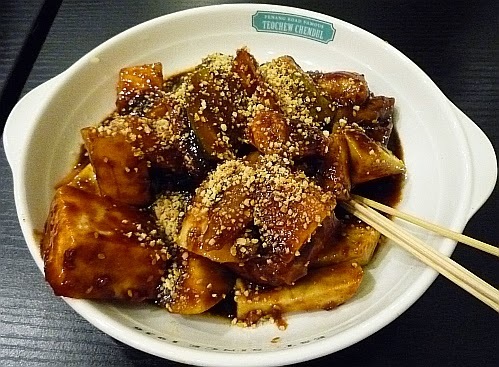 Then we went for tea - fruit rojak with squid - MYR7.90 - from an outlet of the Teochew Chendul eatery. 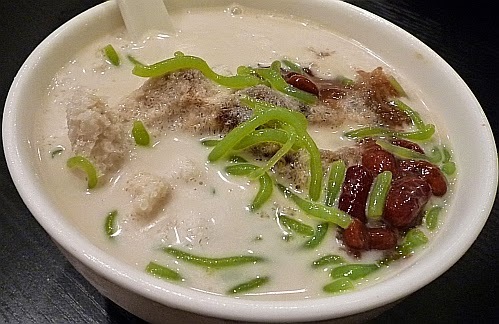 Cendol - MYR5.90 from the same eatery as the above rojak. New mall? Where? The 2nd last pic - that looks like Mid Valley. You have been to Pat Kin Pat Sun in Cheras many times? You may want to give this a try. The durian taste is not strong at all. 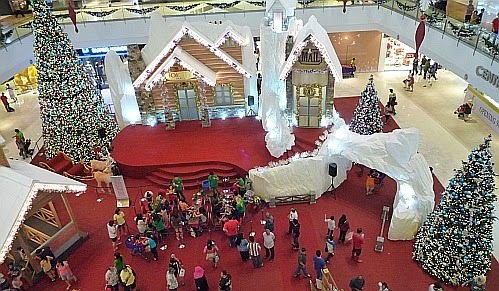 Another mall in Puchong? Oh dear.. how many malls they gonna build there.. 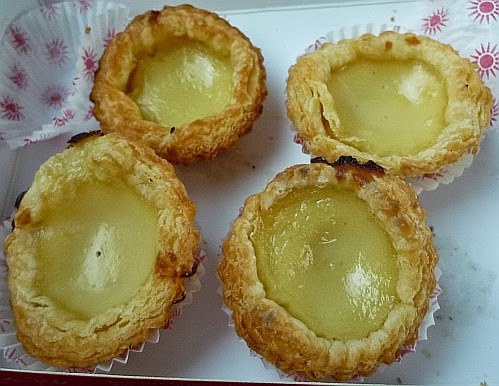 I think I've seen some durian tarts in Penang too, but don't think is from this franchise, can't remember the name.. In PutraJaya. So far Putrajaya only have Alamanda mall. ah, IOI City Mall.. i passed by this new shopping mall one day last week on the way to lunch with a customer.. it looks nice from outside, but i guess constructions are still ongoing and i wonder if all the shoplots have been taken up and business in operation already?? nice tarts and rojak and cendol, yummy yummy!! Many people visiting there. Shops occupancy I think is 96% so good enough. There is an ice skating rink there. Can try this because durian taste is not strong. I don't eat durian...so, no durian mini tarts for me. I'm surprised you haven't seen Pat Kin Pat Sun before as they've been around for a long time (when all those HK teahouses started propping up). I used to patronise the HQ outlet but not anymore since the place became dirty and the food has deteriorated. I seldom venture into Cheras. Do they have outlets elsewhere? Ah the sungai besi southgate is the nearest. I've never eaten durian tarts and I don't mind trying it because I love durians. The tart looks nice and the pastry looks fluffy too! I like. The puff pastry is sure fluffy. Can try because the durian taste is mild only. another new mall...Malaysians nowadays really have such great spending power? haha! Many people there wor. Festive season mah so have to buy gifts. Ah heard about this new mall. Not a place I'd venture to, but good for people who are nearby. Only if you are in the area then worth to go in to look see look see but there is a skating rink so if your children are interested, can go there. Wow! I'll love this but I'll be lost in Cheras...too far and too complicated and too jammed for me to go. Haha. 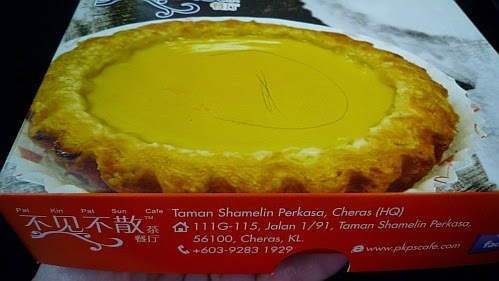 I also dare not venture into cheras for these durian tarts.